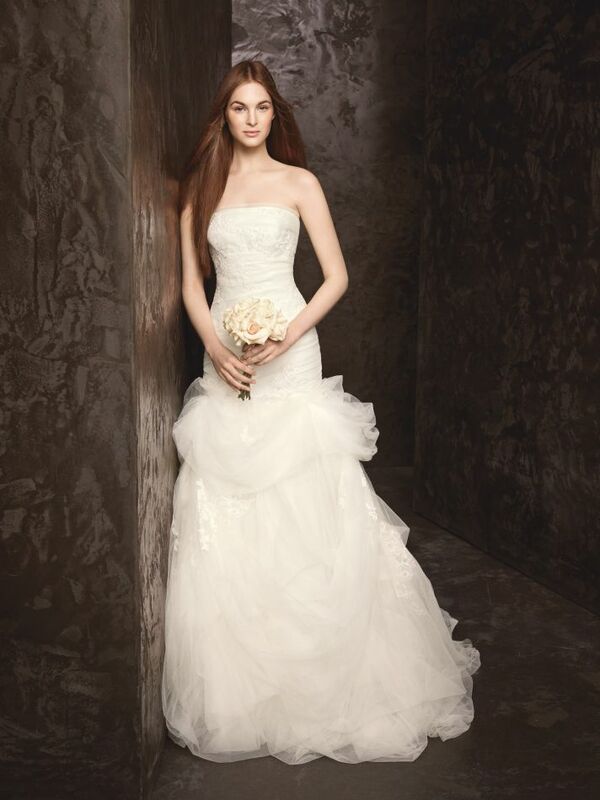 Each ceremony has its treasures, but we celebrate the traditional aspects of the bridal wedding dress. We would like to give you a few tips when choosing a dress for a beach wedding…your destination beach wedding! If a dress has lace or a long train, it will be more difficult to remove the sand. Keep it simple. Because of humidity, make sure the fabric that you choose will breathes easily. Satin, sateen, velvet, brocade, and tightly-woven blends are not the best choices for beach weddings in Florida because of the humid climate. Fabrics that work well with humid conditions are cotton, linen, crepe, chiffon, charmeuse, and sheer fabrics – these are the most comfortable choices. If you burn easily, consider a dress that covers the shoulders, especially if you plan on being on the beach for more than an hour. At the beach, the sand and the waves reflect the sun, so it’s easier to get a sunburn. If you are going all out and plan on buying something expensive and ornate, please be sure that a light rain or mist/moisture won’t ruin the dress. Inclement weather can sneak up on you at a Florida beach wedding, so be prepared. Those brides that are having a destination beach wedding and aren’t familiar with the Florida weather should definitely study up before their arrival. Make sure you know where the ties are located that bustle your dress…as photographers love to get as close to the Florida beach waves to snap those special shots, you never know when a rogue wave may come in quick and soak the bottom of your dress, or you need to walk over a wet spot in the sand. Lastly, lose the veil! We caution all of our brides to not wear a veil, as it can be windy on the beach and you will spend your entire time fighting this piece of fabric as it is flying in your face and beating your future spouse during the ceremony. We’ll have more info about the veil in an upcoming blog…watch for it next week. We’ll offer alternatives and other helpful hints about the beach wedding veil. For your ultimate destination beach wedding, may we recommend this stunning Vera Wang…simple, elegant and perfect for getting married on one of beautiful beaches or lakes in Florida. 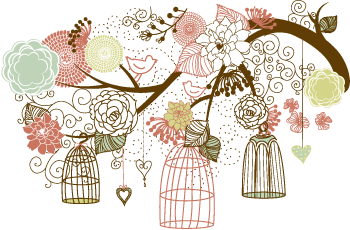 The Knot website has excellent information on buying a wedding dress in their ultimate dress guide. Check it out! 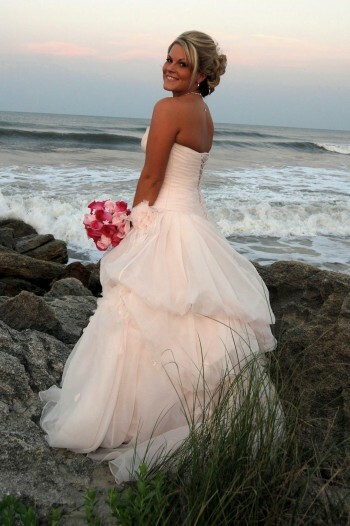 We hope you have some good information now in your search for the perfect dress for a beach wedding!